We all know eloquence when we hear it. But what exactly is it? And how might we gain more of it for ourselves? This entertaining and, yes, eloquent book illuminates the power of language from a linguistic point of view and provides fascinating insights into the way we use words. David Crystal, a world-renowned expert on the history and usage of the English language, probes the intricate workings of eloquence. His lively analysis encompasses everyday situations (wedding speeches, business presentations, storytelling) as well as the oratory of great public gatherings. 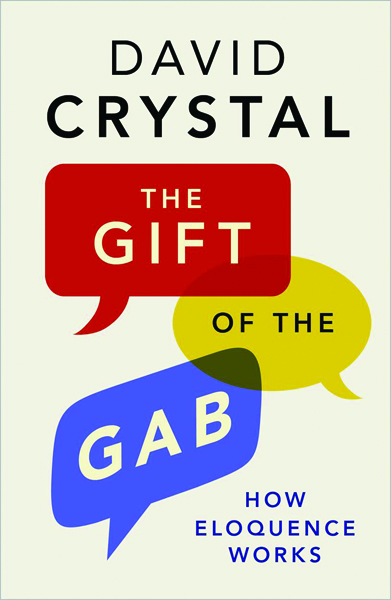 Crystal focuses on the here and now of eloquent speaking—from pitch, pace, and prosody to jokes, appropriateness, and how to wield a microphone. He explains what is going on moment by moment and examines each facet of eloquence. He also investigates topics such as the way current technologies help or hinder our verbal powers, the psychological effects of verbal excellence, and why certain places or peoples are thought to be more eloquent than others. In the core analysis of the book, Crystal offers an extended and close dissection of Barack Obama’s electrifying “Yes we can” speech of 2008, in which the president demonstrated full mastery of virtually every element of eloquence—from the simple use of parallelism and an awareness of what not to say, to his brilliant conclusion constructed around two powerful words: dreams and answers.